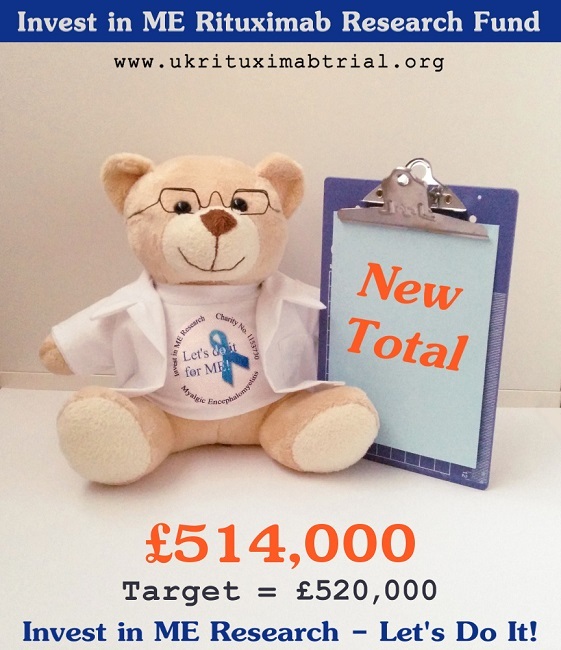 A new update to our B-cell/rituximab projects - which brings the total raised so far for these projects to £514,000. At the UK Centre of Excelence plans are progressing for the UK rituximab trial with a position for a Senior Research Associate now advertised. This is a project which has continued to be developed with close collaboration between UCL, UEA, Quadram Institute Biosceinces(formerly IFR), Oxford University and the Norwegian researchers at Haukeland in Bergen, Norway. After January's excellent journalism carried out by BBC Look East (click here) - who have covered the last visit by the Norwegian Haukeland University Hospital researchers to Norwich in January - this is more excellent news as we continue to develop plans for the UK rituximab trial in Norwich Research Park and enhance the development of the UK Centre of Excellence for ME. These developments have been thanks to the extraordinary efforts of our supporters - something we never lose sight of. There is a promising future for the UK Centre of Excellence in Norwich Research Park - with international collaboration now well under way with institutes and universities in Europe and USA. This has been one of the main objectives of Invest in ME Research in building a strategy of biomedical research in Europe. This international collaboration continued with the International Biomedical Research into ME Colloquium 7 in London in May/June which had involvement from the major ME research centres around the world as well as CDC and NIH from USA. click here. Our dedicated microsite for the rituximab/B-cell research project with more details is available here. We welcome more support to fund future phases to build the foundations for the UK Centre of Excellence for ME.